Curious about our Diabetes Summer Camp at York this coming July? Or just feel like getting active with your T1 friends? 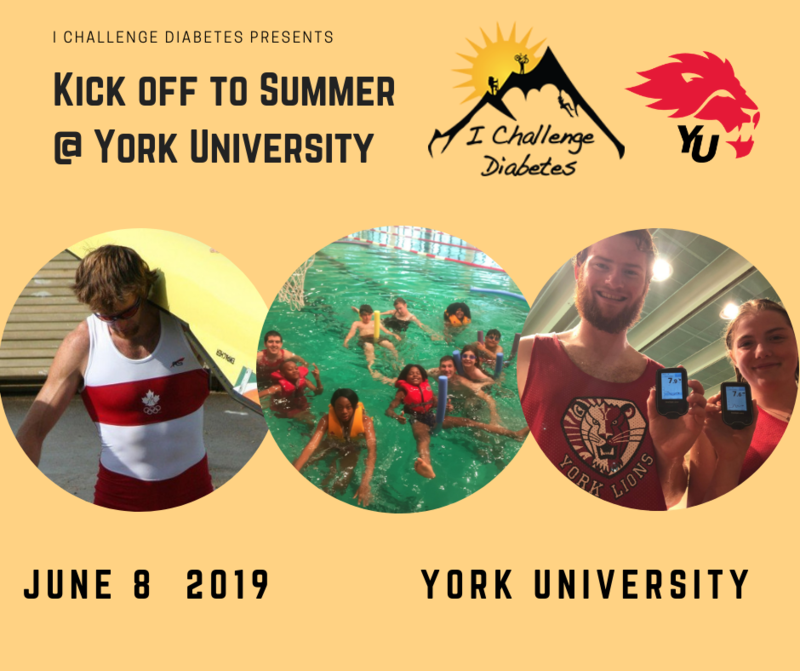 Join ICD at York University as we Kick Off the Summer together! We will have a blast on the field, in the gym and in the pool! Overview: This is a multi-sport day camp at York University that will provide diabetes support, education, mentoring and normalization, integrated with awesome workouts, skill development and whole lot of summer camp fun for all ability levels. Who: The program is open to children with and without type 1 diabetes ages 5 and up. High school aged volunteers can earn community hours. Diabetes Empowerment: We will connect with parents/caregivers at the start and end of the day to capture any directions from parents for the day and follow through with a flexible support plan. Any issues would be taken on by our team onsite. We track all tests, snacks and insulin. We are flexible with your needs and can build that confidence over the course of our programs.